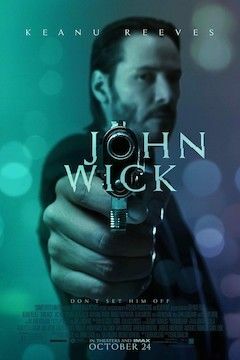 Ex-hit man John Wick (Reeves) lives alone, except for his beloved dog -- his faithful companion and a last gift from his dying wife. He awakens one night to find hooded strangers in his home, who turn out to be members of the Russian mob. In the ensuing scuffle, John is beaten, his car is stolen and his dog is killed. With the most important thing in his life taken away from him, John comes out of retirement to take vengeance on the men responsible.